Being a religious place and part of the golden triangle tourist ( Puri Konark Bhubaneswar ) destinations, Puri has many hotels and resorts to match all types of tourist of all budgets. There are several types of hotels available near sea beach areas and some few good hotels available near temple or at Grand road. There are three locations in Puri where tourists stay. Near Temple and in Main Grand road. Around temple there are many budget hotels and some free accommodation available. These are mainly occupied by pilgrims and visitors whose main attraction is Shri Jagannath temple. Devotees stay in shared accommodations around temple for a long duration. During holy month of Kartik which falls after Dussehra festival all budget accommodations remains full till mid November as devotees stay for full Kartik month with daily visit to temple. Popular among tourist from West Bengal this area has grown as main tourist hub with many hotels. 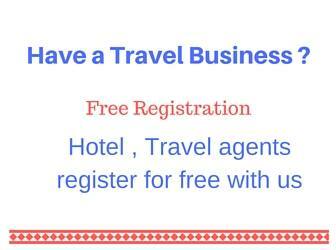 Here the hotel tariff varies a lot during peak tourist seasons and accommodations are per � booked much in advance. Main tourist seasons are during x-mass vacation starting from 3rd week of December till 1st week of January. During Dussehra festival which falls during month of Oct the demand for hotels goes up. The local market here full of Bengali fast food items and other handicraft items. All hotels here have sea facing rooms with balcony. Luxury hotels are also available around this area. The main Swargadwar Junction is a busy crowded market place. At a distance of one KM from here in new Marine Drive road there are few luxury hotels with quite ambient and are the best place to stay. 42 well appointed AC rooms, Banquet & Conference halls, two resturants, swimming pool, Pickup and drop from railway station. all rooms are sea facing.24 hour room service,doctor on call,car parking. Close to the Lord Jaganatha temple, this is the best hotel to stay near temple. 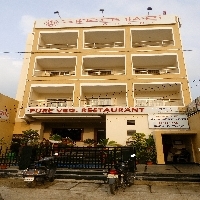 Located on the Grand road, this hotel has all facilities and you can walk to the temple. Away from Sea beach, you can reach beach by walking or by using a local cab in 20 minutes. 9 nos. of A/C rooms -attached western toilets - intercom - LED - individual balcony- Facility - in-house restaurant to provide homestyle food - complimentary breakfast - free wi-fi - tour & travel desk - assistance to Jagannath darshan etc.. This property Near to Lord jagannath temple and you can say just stone throwing distance only. And in this property you can see the temple view also. Having restaurant with multi cuisine, but we dont allow Non veg, alcohol and Onion garlic also. A 4* Deluxe Hotel (Beach Resort), equipped 84 Studio Suite Rooms, On-site Multi-Cuisine Restaurant, Large Swimming pool with Baby pool, Children Park, Indoor & Outdoor games, Lawns with water fountain.